We use the Barix Boxes and the Comrex Bric Link for STL (Studio Transmitter Link) and Remotes. The Barix is less expensive than the Comrex but the Comrex is more flexible. They both work well. If you purchase from this site we will assist you in setting these units up at no charge. 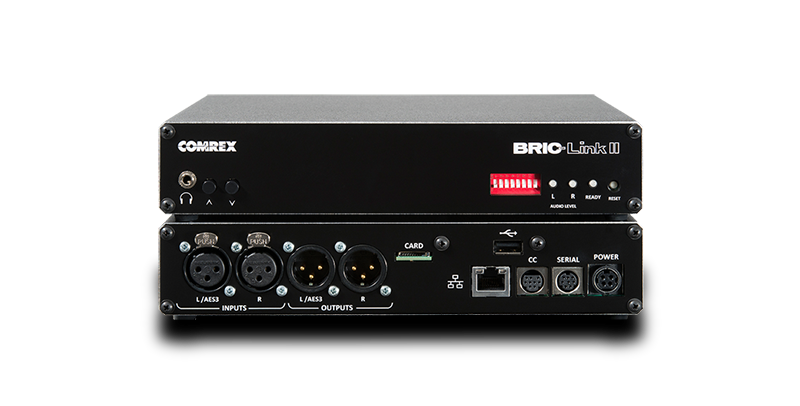 Barix 500 with Balanced inputs and outputs. Under $600.00. Call us for ordering information 772-913-2209 This is a Transceiver. Barix 100 Instreamer unbalanced. This is a Transmitter only. It sends to and Xtreamer. Under $400.00. Click here to purchase. Call us for free setup if you purchase here. Barix Extreamer 100 Receiver only. Under $200.00 This unit gets its information from an Instreamer or a Barix 500. Click here to purchase. If you buy here we will help you set it up.